Discussions Magazine Music Blog: SPAZ reviews holiday releases from NICK LOWE and THE NEW CHRISTY MINSTRELS! 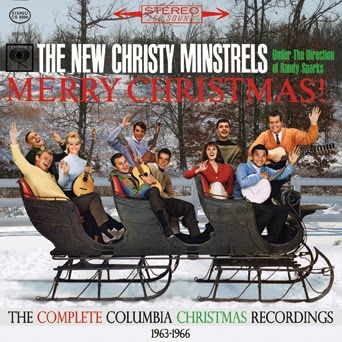 SPAZ reviews holiday releases from NICK LOWE and THE NEW CHRISTY MINSTRELS! There are many things (and people) in this world that I love but I can say without hesitation that music and Christmas are two of my most favorite things ever. So, obviously, I'm a huge Christmas music fan. Some might even call me a "Christmas music snob". I try to listen to everything I possibly can. I do it objectively because I'm always open to hear something fun, interesting magical. Yes, I'll even listen to holiday albums by artists I normally wouldn't care about. I approach every new holiday release with excitement, to be honest. With that being said, most of the time, I'm just disappointed. A lot of the artists that release Christmas albums just seem to be going through the motions. While I normally love Neil Diamond (and I have since the late '60s because my mom was a huge fan), I am not fond of his Christmas music. At all. It reminds me of a half-hearted attempt at Christmas karaoke. Oh, and don't even get me started on the Bob Dylan Christmas album! I am not a Dylan fan in the slightest, but I can kind of see his appeal... but his Christmas album should be filed under 'comedy' and not 'holiday' or 'rock'. Yes, I did laugh at first but then I realized it wasn't supposed to be funny. Oh dear. Its like Christmas without the cheer, magic, joy, happiness and love. But lets not talk about that one anymore because I'm feeling woozy just thinking about it. 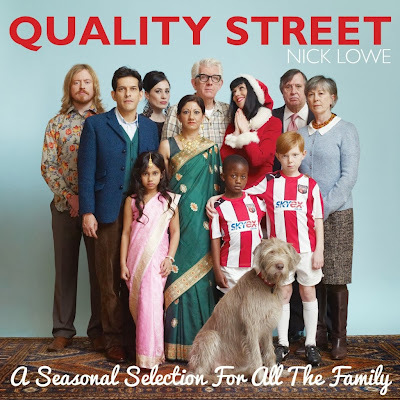 But then, just when I think that there would never be a 'new' Christmas album that would excite me like the ones I heard in my childhood, along comes veteran British singer/songwriter Nick Lowe with Quality Street: A Seasonal Selection For All The Family. Man, this is some great stuff! I've been a Nick Lowe fan since his album Pure Pop For Now People back in the late '70s and I love the stripped down roots-based direction he's taken since The Impossible Bird, but when I heard that he was releasing a holiday album, I was a bit surprised. 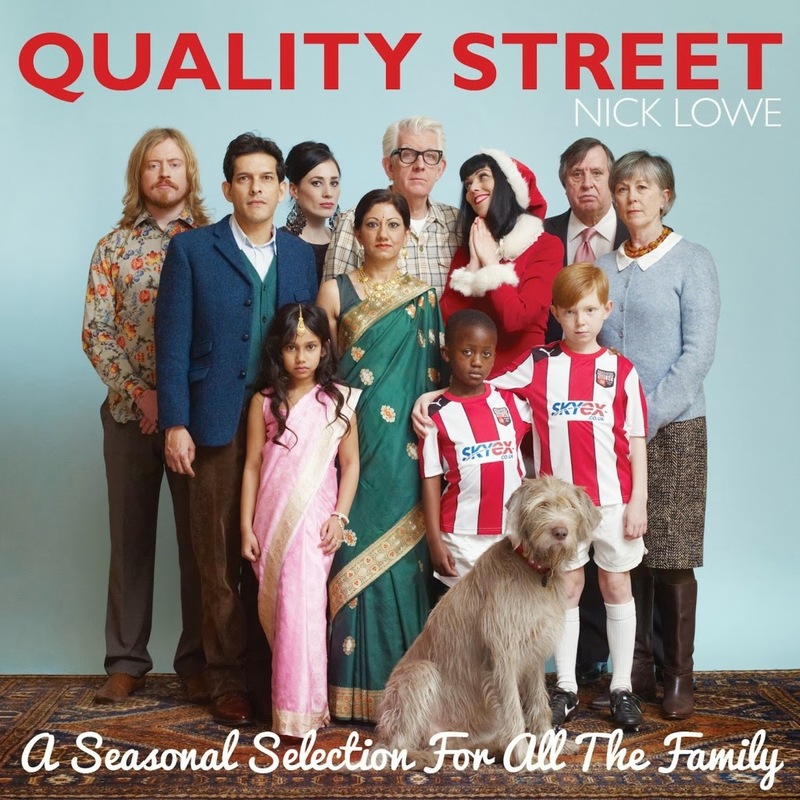 I never would have expected Nick Lowe to release a Christmas album and I wasn't quite sure what to expect. But then I heard it and my surprise turned to utter joy! Very much like the first New Christy Minstrels Christmas album, Nick doesn't pander to the traditional holiday music crowd with an album filled with holiday standards. Instead, he has created an album filled with holiday 'feeling' that features a few new self-penned tracks, some obscure traditional songs, covers of more modern Christmas tunes and a Tex-Mex version of "Silent Night", the only 'standard' on the album. What Nick does with Quality Street is offer up songs that celebrate the season without pandering to the Christmas market. He proudly proclaims that the album is a 'sleigh bell free zone', but the unspoken and heartfelt joy of the season is alive in every song. Those that have followed Nick over the last few decades are keenly aware that he has stepped away from the overtly Rock sounds of old and has embraced the very essence of the music that inspired him so many years ago. He's still writing amazing tunes, yet his albums have been stripped back affairs that recall Country, Jazz, Pop and Rock recordings released before The Beatles changed the course of music. While it may seem that Nick reinvented himself, it was more a matter of cleaning house and tossing out the unnecessary production clutter that could sometimes distract the listener. 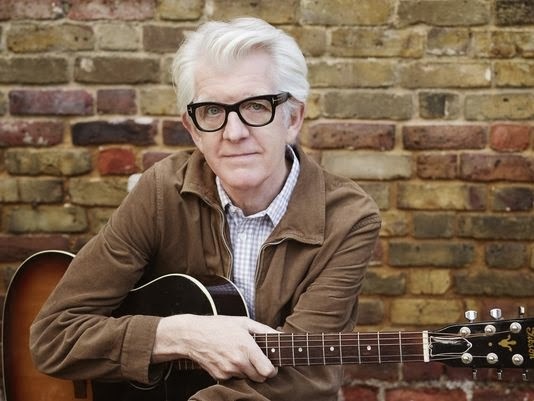 With Nick Lowe, the song was always the most important part of the album and glossy over-production was no longer needed - and in doing so, Nick's work over the last two decades has been his most rewarding. On Quality Street, he sticks to his guns and has created an album that is every bit as appealing as his past Yep Roc releases yet adds the extra warmth of that Christmas feeling to the mix. Quality Street is, without a doubt, one of the finest Christmas albums released in the last four decades. While he didn't plan on recording it - his label suggested it to him - Quality Street is an honest and sincere homage to the Christmas spirit set to words and music. Highlights include the self-penned "Christmas At The Airport", Ron Sexsmith's "Hooves On The Roof" (which was written especially for this album), Nick's arrangements of traditional favorites "Silent Night", "Children Go Where I Send Thee" and "Rise Up Shepherd", Roy Wood and Wizzard's "I Wish It Could Be Christmas Everyday" and so many more. This is a solid Nick Lowe album from start to finish as well as a fantastic Christmas album. I'm beginning to think that Nick Lowe is incapable of making a bad album. The New Christy Minstrels, under the direction of original leader Randy Sparks, were one of the most popular Folk acts of the early '60s. In 1963, they released the first of their two Christmas albums, simply titled Merry Christmas. The album doesn't contain any overly familiar holiday tunes but it is filled with joyous performances that really get down to the heart of the season. From the bouncy opener, "Beautiful City", the Merry Christmas album offers a new musical outlook on the holiday season. Instead of focusing on Santa and all the cartoon-ish aspects of Christmas, this album delves into the religious aspect (the 'reason for the season' as some would say) as well as having a warm and quaint approach to the holidays. This may have been a big record made by a very large group of musicians and singers, but it has a very personal feel to it. The vocal arrangements are pretty amazing, offering solos to many of the members, but also featuring the full group with some mesmerizing harmonies. The album is so full of the Christmas spirit that you don't notice the fact that the songs are not the usual fare found on every other Christmas album. There is such a magical charm to every track on the platter that it is hard not to fall under the album's spell. There's even two bonus tracks added to this already flawless album. On a more personal note: this album was the second most played Christmas album in the Schnee household as we grew up, the first being Glen Campbell's That Christmas Feeling, which really needs to be reissued! 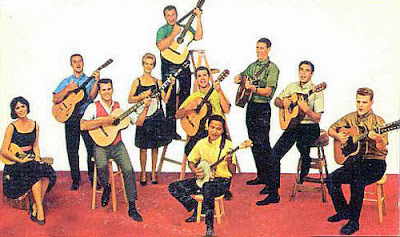 The second album on the CD, Christmas With The Christies, was recorded by an entirely new line-up three years later and contains the Christmas standards everyone loves performed in the unique style of this strong Folk act. Though the band was no longer under the direction of Randy Sparks and all the original members had left (including Barry McGuire of "Eve Of Destruction" fame), the sound of the Minstrels was still full, robust and filled with the Christmas spirit! Songs such as "Silver Bells", "We Need A Little Christmas", "Here We Come A-Caroling", "Sleigh Ride" and "Do You Hear What I Hear" all sound so vibrant and wonderful. Again, Real Gone has added a few bonus tracks to the mix, making this CD a must-have holiday release for those in search of the holiday spirit! Now, time for me to go back and listen to these albums again! Can't get enough of great Christmas music!